Skygate Dental |24 Hour Emergency Dentist | Can help you with all your fillings. Find out frequently asked questions about fillings below and more. What is a Filling? Why do I have to have one? A filling is a material used to replaced lost tooth structure. A tooth or teeth may become decayed or damaged due to trauma or pathology. The dentist restores the tooth or teeth to closely match the original shape and function with a filling material. The goal of a filling material is to rebuild the lost tooth structure and provide a seal for the tooth. Protecting it from pathogens (bacteria). Further, there are a variety of filling materials available for the dentist to choose from. The most popular being the tooth-coloured filling materials or resin composites and glass ionomer cements. How does the Dentist determine what filling to use? 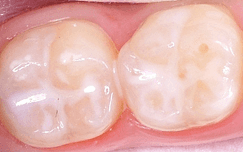 Determining the best filling material to use comes down to numerous factors; patient preference, location, aesthetic, size, location, loading, function, how strong the remaining tooth structure is, the strength of material needed to restore the tooth and bite. The dentist will make a full assessment of the tooth and or teeth and provide an analysis as to the best options available. After this the dentist will discussed the pros and cons or each option then an informed consent decision is made for the filling material. Examples of filling materials are resin composites – or tooth coloured fillings (white fillings), glass-ionomers or amalgam. Will It hurt to place the filling(s)? Every effort is made to make the experience as pain free as possible. In some instances a tooth may not even need anesthetic to fill or repair to the tooth, as little to no drilling may be necessary. In other cases were drilling is necessary, numbing gel is placed, followed by aesthetic. This ensures the area is “numb” and does not cause any discomfort during the filling process. After the filling is placed it is smoothed and the bite is checked. If you any questions about fillings or filling materials the best option is to discuss with your dentist at Skygate Dental.